If you are the one who is born in a rural area and then moved to the urban area then, no one else can understand better the importance of a complete silent ecosystem than you. There are numerous benefits of a silent ambiance. However, in the metros, you will have to put some extra effort to get a noiseless environment. There are many ways and means to achieve a silent ecosystem. Soundproofing is perhaps the best technique that I am aware of and also used to soundproof my apartment. I am a soundproof consultant and comes with a decade of experience. So, why soundproofing is a big deal? Before we get into the discussion of soundproofing, allow me to first define it. Soundproofing can be defined as the process of reducing the impact of the sound waves on the receptor from the source by using different means. The techniques to reduce the sound wave intensity at the receptor can include increasing the distance between the source and the receptor, using noise barriers, damping structure or even anti-noise sound generators. These methods can be used alone or in combination. The downside of living in an urban area is that the unwanted and irritating noise such as an unbearable sound of air horns, sharp noise created by machines can break into your room taking away all the peace. The worst part is that these noises will NOT allow you to perform any task that requires intense attention. Noise pollution can have an adverse impact on your life. A consistently elevated noise level can cause hearing impairment, hypertension, ischemic heart disease, sleep disturbance, and annoyance. Noise-induced hearing loss - If you are continuously exposed to the high level of noise pollution then, you may have to suffer from a sensorineural hearing loss which occurs due to the permanent shift in pure-tone thresholds. Cardiovascular effects - The noise level of 50 dB at night may increase the risk of myocardial infarction by increasing the cortisol production. Hypertension is found to be associated with noise pollution. It's advisable to soundproof a car because the road noise levels are sufficient to elevate the blood pressure. The psychological impact of noise - A continuous exposure to an intense level of noise can lead to a violent reaction as well as a personality change. Unfortunately, the psychological impact of noise may lead to an addiction to loud music. A research was conducted on a group of musician and non-musician and the musicians were found to be more addicted towards the loudness. The other important psychological impacts of noise are stress, depression, and anxiety. In the United Kingdom, more than 1.8 million people claim that the noisy neighbor has made their life misery. Child physical development - There is ample evidence that the noisy environment can distort shaping the physique, behavior, and function of animals including human being. The fetus is capable of perceiving sound and responding to them by cardiac rate change. Don't you like going for a long drive to get rid of an everyday stressful situation? If you think that by closing the doors and windows of your room you will successfully get rid of the unwanted noise then, you are definitely wrong. Even after closing the doors and windows, unwanted noise can easily reach out to you through small holes and other openings. Even if you are able to close the holes the low-frequency noise can reach out to you through the walls and ceiling. Unfortunately, the low-frequency noise can travel through the solid materials as well. One of the successful ways to stop the unwanted noise from reaching you is to block its propagation. It can be done by dampening the energy of the sound waves with the help of absorbent material. Soundproofing materials are the materials that are used to mitigate the unwanted noise. These materials have the capabilities to absorb unwanted noise and are normally denser and thicker. Since these materials have the capabilities of absorbing the sound. Hence, they can also be used to eliminate the reverbs, vibrations, and echoes. What are the different types of soundproofing materials? 1. Soundproof Blackout Curtains - Soundproof curtains are a bit thicker, denser, and heavier as compared to the normal curtains. Most of the soundproofing curtains have a very heavy layer sandwiched between sound absorbing layers. Let's understand it with an example. A soundproof curtain might be made up of two panels of quilted fiberglass with a layer of mass loaded vinyl in the middle. The thickness plays a crucial role when it comes to soundproofing curtain. The weight is directly proportional to the thickness. Depending on its thickness, the mass-loaded vinyl layer can weigh from 0.5 to 2.0 pounds per square foot and it's this mass that supplies the critical soundproofing element. When it comes to folding the soundproof curtains, it's a bit difficult as compared to the normal curtains. Due to the MLV layer, these curtains are a semi-rigid. Due to the heavy weight, it requires a heavy-duty tracking system or frames to support. Similar to soundproof curtains, there are noise barrier curtains that are used to reduce noise from industrial machinery, compressors, generators or pumps. I have written a detailed article on the best soundproof curtains. In this post, we have touched upon the important parameters that you need to consider when planning to buy a soundproof curtain. We have reviewed a mix of budget-friendly and high-end soundproof curtains. Overall, in terms of Aesthetics, they are no different from the regular ones. These curtains come in various colors and styles and are also affordable. 2. Green Glue Noise-proofing - As per the Sound Transmission Chart, Green Glue has scored 56 in case of standard drywall and thus, top the list. The STC is the benchmark when it comes to examining the capability of soundproof material. As per the chart, the Green Glue is well above all the soundproofing materials available. It has been found that most of the soundproofing materials are good at dampening higher frequencies and in case of lower frequencies, we have very limited options. The worst things about the low-frequencies are that they can easily travel through the solid materials and thus, soundproofing may be challenging when it comes to completely eliminating the low-frequencies. Fortunately, we have Green Glue tubes. I have been into the soundproofing business over a decade now and trust me, I have found the Green Glue highly effective in eliminating the low-frequencies. If you are using acoustic panels in the form of panel or board then, you may not achieve 100% efficiency because of the minute edges and gaps and at times, I have found these gaps NOT visible from the naked eye. Anyways, we have a solution for that as well, you don't have to get worried. The Green Glue comes in a liquid state and allows you to fill the smallest of the gaps in a couple of seconds. I use a caulk gun. It helps me in uniform injection and at the same time, saves a lot of my time. The gun I use is a budget-friendly. If you are looking for the full soundproof eco-system then, I will suggest you opt for Green Glue tubes. By adding the Green Glue to dry walls, you can increase the soundproofing properties to a tangible extent. 3. Acoustic Foam Panels: I will NOT recommend this product in case you are looking to dampen low-frequencies such as Bass. However, the acoustic panels can act as supporting material. It is definitely a great choice if you are looking for a product that can stand tall against the echoes, reverbs and thus, help you to achieve a quieter ambiance. The things that I liked about the acoustic foams are its budget-friendly nature and straightforwardness. I will suggest acoustic foam as a viable option if you are looking for a temporary solution. 4. Low-frequency Sound Absorbing Bass Traps: Before we talk about the bass traps, allow me to share a trick with you. The low-frequencies are really troublesome and to get rid of them, you must apply low-frequency sound absorbing bass traps in the corner of the walls and also, at the junction. As the name suggests, the bass traps are meant for absorbing the low-frequencies and play a crucial role in soundproofing a home studio, home office, drum room etc. The good news is that they are incredibly amazing and perhaps, the most effective material available in the market to get rid of the low frequencies. I have tried a handful of acoustic foams and, can assure you that this bass trap is incredibly ahead of its competitor when it comes to absorbing noise. I have bought it for my home office and the performance was so amazing that I again bought it for my home studio. I have suggested the same product to my clients and I feel privileged to share with you that in more than 98% of the cases, I have received satisfactory feedback. 5. Moving Blanket Insulation: You can use moving blankets for multiple purposes. Using the moving blankets for the soundproofing purpose has become the trends in the last few years. They are quite economical and also, serves the purpose in most of the cases. I generally recommend it as a soundproofing solutions to those clients who are very tight on budget. But at the same time, I will suggest you, do not have a very high expectation from the moving blankets. 6. Soundproof Weatherstrip Door Kit: The door kit is very important in case of soundproofing a room, door, windows etc. The weatherstrips are a great choice when you want to seal the gaps to prevent the outside noise from entering into the room. Fortunately, they are pretty cheap and cost-effective. Other important benefits are the less installation time and cost-effectiveness. 7. Acoustic Fire Batts: The acoustic fire batts is mineral wool with a density of 2.5 pounds per cubic foot. The 2.5 pcf is considered to be the most cost-effective density of absorbing sounds. However, the fire batts with higher pcf are also available in the market and depending upon your requirement, you can also opt for the fire batts with a higher pcf. It is a multifunctional fire batt and you can easily install it against any kind of structure of walls which can support it. If you are looking for a cost-effective and robust solution then, definitely the acoustic fire batts by Roxul is the one you should try. Either to determine the functionality of a sound deadener or to compare two sound deadeners, you should check for the Noise Reduction Coefficient. The NRC is the benchmark for examining the functionality of a sound deadener material and also, is recognized and accepted universally. A lot of parameters such as density, thickness etc are involved in the calculation of the NRC and the good news is that the noise reduction coefficient touches the highest value for the Roxul fire batts. Let me disclose an important secret that compelled me to suggest this product to my clients. Well, it's the water repelling nature of this product. You will be astonished to know that it acts as fire retardant of class A category and also, ensures the safety of the interiors even in the extreme cases. All these characteristics make it a value for money product. 8. Fatmat Sound Deadener: Definitely the "Fatmat" is a brand in the sound deadener category. It performs extraordinarily well when it comes to soundproofing a car. The RattleTrap technology makes it a favorite choice among the car owners looking for a sound deadening car solution. I can assure you that the car's rattling sound will be reduced drastically once you have applied the fatmat sound deadener. As per the company claim and product research, Fatmat can increase the audibility level of the cars interiors by 3 dB. The Fatmat sound deadener comes with a knife, roller, and other accessories needed for easy installation. You will not be charged any additional fee for the accessories, it comes with the buying of a unit of Fatmat. It uses "Super stick" adhesive. The adhesive is patented. They perform best against the cars, trucks, RVs, homes, and marine. The thickness is just 80 mil and thus, you will NOT feel uncomfortable using it in a car. It can reduce distortion and boost BASS to a great extent. 9. Noico Sound Deadener: It is one of the CHEAPEST sound deadener available in the market. I prefer using it for sound dampen vehicle and also, suggest the same to my clients. As compared to its competitors- Fatmat, Dynamat, it is really cheaper and performs on a similar scale. If you are tight on budget then, you must try NOICO, I can assure you, it will match up to your expectation. I have personally experienced the same and I am highly impressed with its performance. 10.GTmat Sound Deadening Material: It is again an interesting product in the league of the sound deadener. Needless to say, it dampens the unwanted noise and also, enhance the quality of the car audio system. It comes in a single pack which includes the accessories at no extra cost. One pack consists of a 25 square feet of GTmat sheet, knife, roller, two white Decals, and biodegradable Degreaser. Unlike its counterparts, it is compatible with a wide range of the temperature. You can expect it to perform best in the range 10-degree Celsius and 50-degree Celsius. The GTmat has an experience of 20 years and has been tested time and again for the performance and every time it has come up with flying colors and thus, making it a preferred choice. The installation is quite easy. After installation, you will feel a tangible improvement in the bass level of your car's old sound system. The product research has confirmed that it has the capability to absorb unwanted rattle noise up to 5 dB of intensity. The thing that really catches my eyeballs was the presence of multiple layers. What to look for when buying a soundproofing materials? 1. 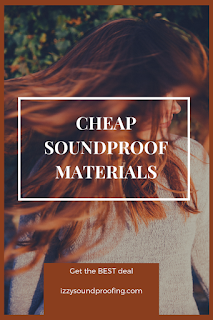 Material used: Whenever I buy or recommend someone to buy soundproofing materials such as curtains, blankets, bass traps etc, I asked them to check for the specification details. The material used in the product plays a crucial role in the absorbing capability. If the materials used are a good sound absorbing ones then, it gives the sign that the product will perform well against the unwanted noise. 2. Weight: The soundproofing material density, thickness, and weight are directly proportional to its efficiency. I will suggest you look for denser materials in case of curtains, blankets, and sound deadeners. 3. Price: Though in most of the cases the products with high price tags are the said to perform better still it's NOT always the case and we can't take price tag as an important parameter to decide on the quality of a soundproofing product. From the decade experience in the soundproofing domain, I can assure you that many products are over-priced and a relatively cheaper variant can also perform well. It's important for you to have a good knowledge of the domain to get the BEST deal. In case, you are busy and it's difficult for you to manage time, then you can refer to our product page. We have a collection of 40 products and trust me, they are the value for money and you will NEVER regret buying them. 4. Reviews: In case you are planning to buy these products from an e-commerce website then, you can check the ratings and also, the customer's review to get the idea. 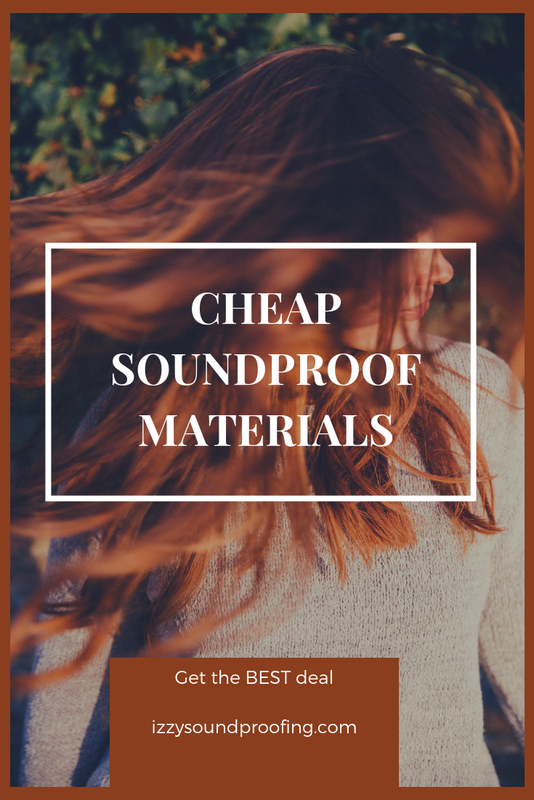 I hope you will definitely appreciate the soundproofing materials that I have included in the cheap soundproofing material buying guide. The best thing about these products is that most of them are budget-friendly with almost all the important features included. 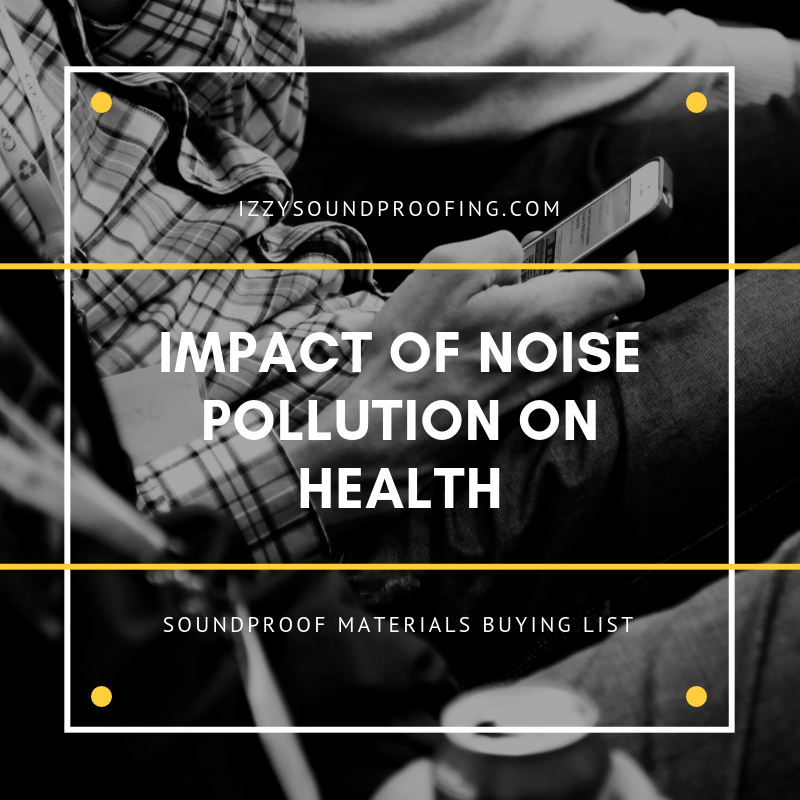 If you are using soundproofing materials that are NOT included in this list then, you can let us know the feedback of the product. It will be of great help to our readers.